Marshmallow vs Lollipop comparison: is newer better? Android Marshmallow is here. The successor to Android Lollipop has begun rolling out to Nexus devices, with more to follow in the coming months. In this Marshmallow vs Lollipop comparison, we show you what the new version does better than its predecessor. Android Marshmallow update: when will I get it? With Android Marshmallow, there is finally an integrated way to manage app permissions. In Lollipop you had to allow all app permissions before you downloaded the app from the Play Store. In Android Marshmallow, this is no longer the case. Instead, you can allow or deny app permissions individually, as and when you want a specific function to work (e.g. access to the microphone). In addition, you now have the option to revoke individual app permissions after you've granted them. With Lollipop's Project Volta, Google laid the foundations for longer battery life. Android Marshmallow goes one step further, with a battery saving function known as Doze. Doze uses the device's motion sensors to detect if a smartphone is being used or not, and sends the handset will be sent into a deeper standby state. We don't have any long-term Doze data yet, but initial tests have found that battery life has reportedly been doubled compared with Lollipop. Google Now has undergone a minor revolution on Android Marshmallow. Now, by simply long-pressing the Home button, Google Now scans whatever is on the screen, be it from a webpage, third-party app, anything, and offers contextual information on what it determines the key words to be. So, for example, if someone sends you a message mentioning a restaurant, Google Now on Tap will offer a map, or Yelp reviews. It is not without flaws, but it could well evolve into the kind of feature that you eventually you wonder how you managed without. With Android Marshmallow, Google has finally created a uniform standard for fingerprint sensors. That's good, because before Android Marshmallow, each manufacturer had its own software solution implemented into the system: uniform access to fingerprint sensors was therefore not possible. This is a big step forward. Here is Google's solution for secure mobile payment. With Android Pay, Android does not store your real payment data, such as credit card numbers, but creates a virtual number for each payment method, meaning your data is always protected. Android Pay functions even with Android 4.4 KitKat, and when you combine it with Android Marshmallow's fingerprint scanning features, it looks as though this new mobile payment process is going to be more than capable of taking on Apple Pay. This feature is more related to hardware than software, but in Android Marshmallow, Google has paved the way for the new USB standard: USB Type-C. With USB Type-C, you can use the USB connector in either direction inside the unit (it flips both ways), and use your smartphone to charge other, compatible devices. Expect to see this on a plethora of new smartphones and tablets in the future. App drawer: The Android Marshmallow app drawer makes it easier to find apps. There is a bar along the top containing your four most recently accessed applications, and an alphabetized scroll on the left-hand margin. You will also find a search function in the top-right corner. RAM manager: Android Lollipop gives detailed information about the amount of RAM each app uses. Android Marshmallow now provides two new fields that inform you on the average and maximum RAM usage of an app. Use an SD card as internal memory: MicroSD card fans rejoice! In Android Marshmallow your microSD card can be formatted so that it is treated as internal memory. Apps can be installed directly on the microSD card too. This Android Marshmallow vs Android Lollipop comparison has quickly made it clear that the changes are significantly smaller than they were between the Lollipop update and KitKat. But that is not surprising; Google can't be expected to release a huge update every year. The improvements that have been made with Android Marshmallow are sorely needed, because Lollipop still feels like a prematurely released product and still poses problems for many users. Android Marshmallow acts as a more mature OS, and we're looking forward to what's to come. 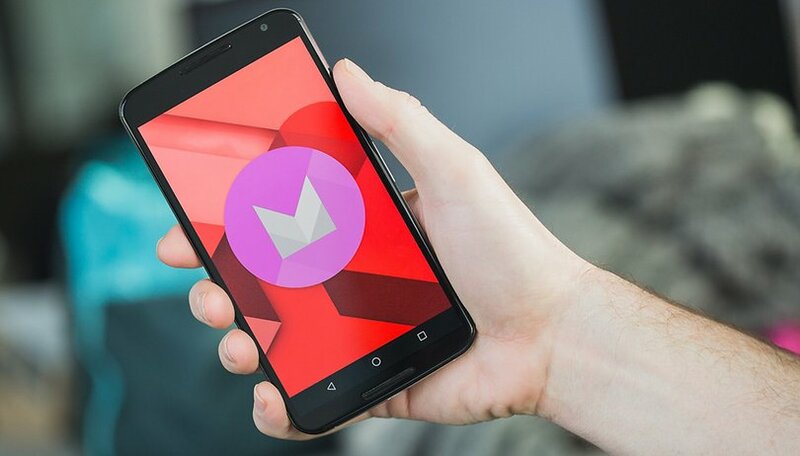 What are your thoughts on Android Marshmallow so far? Let us know in the comments below. I think many features are a step backward. Like the fact that I used to get prompted about what app I wanted to use each time and have the OPTION to make it "permanent". That OPTION was removed in Marshmallow and I hate when I lose my choice. Moving a App to a SD card, has many steps instead of one click. There a few others so far that I noticed that just seem like dumb changes. Under the hood, I have had good luck with my Note4 - no crashes. Some Apps were updated even though I had it set to manual updates. I hate the fact the you can't roll back App versions easily (or even OS versions). I did manage to cure it, Google play services was eating battery. What a mess, bought my Sony Z3 for it's battery life amongst other things, Marshmallow has just destroyed this, not lasting much more than 6 hours on standby, takes longer than this to charge the the thing, seriously not impressed! I was glad to see the back of my nexus 4 lollipop. Marshmallow have given a me hope after that load of rubbish, must say it didn't start off bad. Hope this doesn't go the same way. Does marshmallow occupy more storage then lollipop? Well I like both lollipop and Marshmallow and hope the two merge together effortlessly. This really depends on how manufacturers will implement this update in their phones. It's a real difference between nexus phones and other alternative android altered by manufacturer. So far on LG G4 all is good accept ram manager. I don't understand that thing at all. I got Moto X Play and updated to Marshmallow. I prefer lollipop than marshmallow. I am a gamer and I use large file games and after update to 6.0, Fifa 15 stopped working and also few other apps. Moreover your SD card will get encrypted if used as internal storage and you will not be able to use it again! I prefer lollipop and hope that marshmallow and it's new innovations and features will merge with it seamlessly soon without any problems. I updated to 6.0 today on my Moto x play.. And can you explain your problem in detail please?? I didn't understand..
No problem. I just said that marsh n lolly shd merge since there's really not much difference between them. Its just lolly updated with a few more features. But how many people are using marshmallow, isnt it still experimental? How long before it becomes mainstream? ??? Will someone Please reply? I have Marshmallow on my Moto E 1st Gen (COndor). it is very handy.